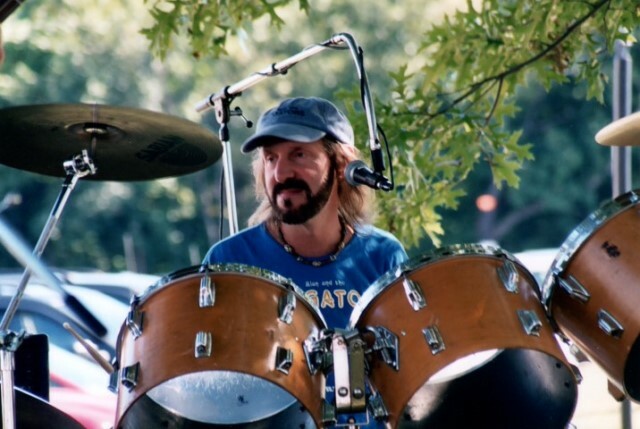 Alan Goodrich, drum teacher located in Concord, Massachusetts, with over 30 years experience (studied with Alan Dawson of the Dave Brubeck Quartet), is accepting new students. Learn to play drum set rock, jazz, pop, blues, funk, snare drum, traditional, latest styles, hand drumming, and more. All levels, beginner to expert. Learn to musically express yourself through drumming, or improve your existing skills! Alan also teaches beginner guitar and vocals. To contact Alan for lesson information click here. In addition to drumming with Alan and The Alligators, Alan enjoys free-lance drumming for other artists (both live and in the studio). If you have an upcoming need for a drummer or percussionist, please click here to contact Alan to discuss your project.